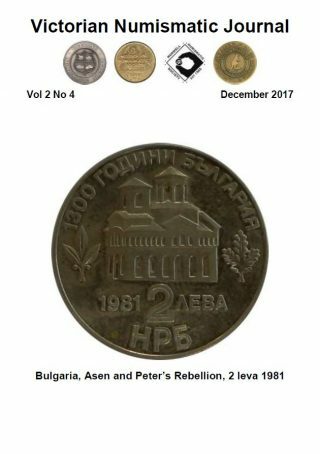 All eight issues of the Victorian Numismatic Journal (VNJ) are now available on-line and available to members of the Melbourne Numismatic Society (MNS). The VNJ is a joint publication of the Numismatic Association of Victoria (NAV) and the Geelong, Morwell and Melbourne numismatic societies. To access the VNJ, and select back issues of the NAV’s journal, the Australian Numismatist, members should go to their Member Page on the NAV’s website at navic.org.au. If you don’t currently have access then simply email [email protected] with your details. If you’re not a member of the MNS and would like to access the VNJ, then why not join today?